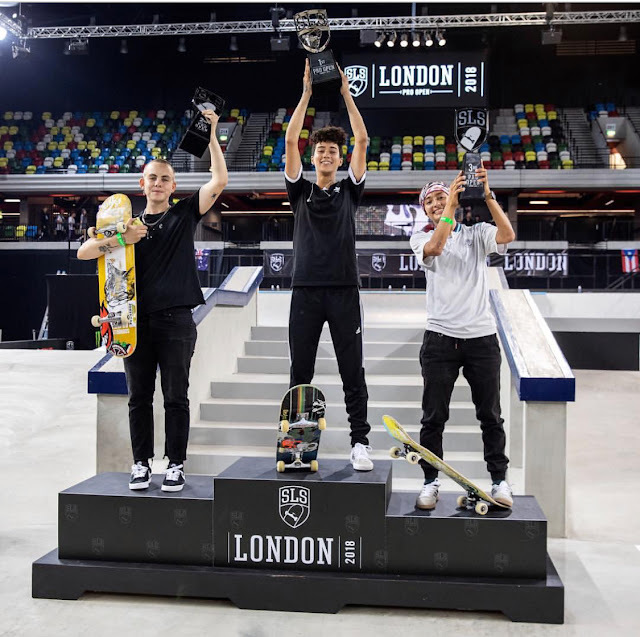 Girl is NOT a 4 Letter Word: SLS London Women's Contest Results. SLS London Women's Contest Results. We have to say, the SLS London Women's comp did not disappoint! So great that the women have been added to stops on the tour and are receiving the same prize money as the men. Huge strides for women in skateboarding! We were excited to watch Leticia Bufoni and Lacey Baker battle it out after their head to head competition at X-Games Norway last weekend, but unfortunately, Leticia got injured in practice and was unable to compete. She watched from the sidelines, her leg in a brace, crutches by her side.